Older adults are popping a lot of pills, but the medications can be doing more harm than good. What are the risks and how can you avoid them? As we get older, we are likely to take more medication. Adults aged 65 to 69 fill an average of 15 prescriptions per year, and it goes up to 18 for those aged 80 to 84, according to the American Association of Consultant Pharmacists. The practice starts earlier. The average 45-year-old takes four different prescription drugs daily. It’s a problem that tends to build on itself. One medication is prescribed, then side effects appear and another medication is added to counter them. While the current mantra for prescribing to seniors is “go low, go slow”, the medications can still add up. This practice, called polypharmacy, has increased risks for older adults. Seniors are more likely to be living with multiple chronic conditions such as diabetes and high blood pressure, and they have greater rates of anxiety, pain, and sleep disorders. Treating these diverse conditions can involve complex drug therapy by multiple doctors. Older adults may have a hard time remembering to take their medications at the right time and in the correct dose. Hearing and vision loss can interfere with reading or understanding medication instructions. Using a variety of specialists or different pharmacies increases the chance for unintended drug interactions. It gets worse. Older adults, especially those experiencing serious health issues, are more likely to have emotional, physical, cognitive, social and functional changes that may encourage them to seek out more medications to cope. In addition, it’s estimated that 14% of adults aged 50 and up have a mental illness such as depression or anxiety. Left untreated, depression can lead to drug abuse. 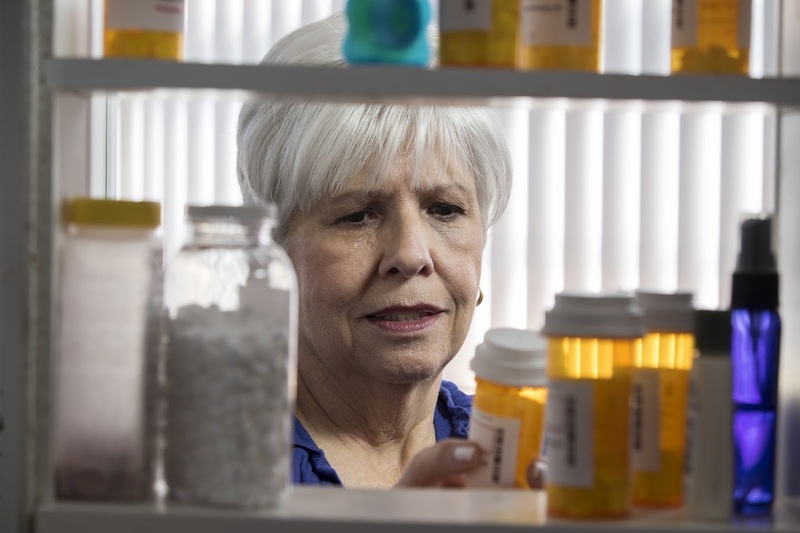 The number of older adults taking three or more psychiatric or pain medications has more than doubled in the last decade, according to a CDC study of data collected from primary care physician visits. Additionally, changes in metabolism, weight, and body fat that often happen as part of the aging process can affect how a medication works in the body. Older adults cannot detoxify and eliminate medications as quickly as their younger counterparts, leading to adverse reactions to drugs that used to work. A CNN investigation found one drug company making hundreds of millions of dollars a year by targeting frail and elderly care facility residents for whom the drug appears unnecessary or unsafe. A little red pill called Nuedexta is being prescribed to seniors at an astonishing rate. Its use in long-term care facilities, where more than half of the pills are prescribed, jumped nearly 400% from 2012 to 2016.These aggressive prescribing efforts are pushed by doctors receiving payments from the drug’s developer, Avanir, for seniors suffering from dementia and Alzheimer’s disease. The drug is approved to treat a rare condition known as PBA that causes sudden and uncontrollable laughing or crying. PBA afflicts less than 1% of all Americans, and is most commonly associated with multiple sclerosis (MS) or ALS, Lou Gehrig’s disease. Avanir acknowledges that the drug has not undergone extensive studies in older adults. The sole research study done by Avanir on patients with Alzheimer’s revealed that those taking Nuedexta fell at double the rate of those taking a placebo. It is not illegal for prescribers to write scripts for off-label use of medication, although insurance companies may require authorization from the prescriber, justifying the use of the medication, before they’ll agree to pay for the therapy. The company website avows that about 40% of dementia patients may suffer from PBA. However, medical experts, including some paid by Avanir, repeated disputed that figure. Geriatric physicians and dementia researchers said the condition is “extremely rare in dementia patients”. State regulators found doctors inappropriately making a diagnosis of PBA to justify the use of Nuedexta on nursing home residents that displayed confusion, agitation, and difficult behavior to make them easier to manage. Between 2013 and 2016, thousands of doctors received nearly $14 million for consulting, speaking, and other services related to the promotion of Nuedexta. An additional $4.6 million was spent by Avanir and its parent company, Otsuka, for travel and dining expenses for speakers and doctors being targeted as potential prescribers of the drug. The practice is legal but controversial. Almost half of Nuedexta claims filed with Medicare in 2015 were from doctors who had gotten money or other perks from the company. In one Los Angeles nursing home last year, regulators discovered that more than a fourth of the patients were prescribed Nuedexta after a psychiatrist who was a paid speaker for Avanir gave a presentation about the drug to employees. Jason Kellogg, a geriatric psychiatrist with patients in California nursing homes, calls the drug “such a blessing in psychiatry”. Kellogg says he never hears, “hey doc, we put a patient on this and had really bad side effects.” The doctor has received payments, meals, and travel from Avanir and its parent company in the amount of $612,000 from 2013 to 2016, according to government data. Soon after its 2011 market launch, reports started coming in about potential harm caused by the drug. Complaints ranged from rashes, dizziness, and falls to comas and death. Nuedexta was listed as a “suspect” medication in almost 1,000 adverse event reports filed with the FDA. Director of the University of Southern California’s California Alzheimer’s Disease Center Lon Schneider reviewed information from about 500 of those cases. Schneider had concerns about how Nuedexta might interact with elderly patients who often take other powerful medications to treat difficult behaviors. Adding just one more pill, he noted, especially one that hasn’t been broadly tested, could be dangerous. Finally, care facilities may dole out powerful antipsychotics to elderly residents to keep them manageable by staff, according to the Health and Human Services inspector general. And a ProPublica investigation revealed that some drug companies promote off-label use of their medications to doctors and nursing homes (see sidebar on Nuedexta). Every year, hospitals admit 32,000 older adults with hip fractures from falls induced by overmedication. Reactions to medications are one of the five biggest threats to seniors, according to the U.S. Government Task Force on Aging. What else can you do to manage your medications? 1. Ask your provider if the dosage is right for your age. You may need to start with a lower dose and taper up. 2. Some medications are unsafe for older adults. Consult the Beers Criteria for Potentially Inappropriate Medication Use in Older Adults. It’s used by Medicare to evaluate skilled nursing facilities to ensure they make proper attempts to reduce medication doses or try “drug holidays” with their patients. 3. Bring a list of your medications to the doctor. Include vitamins, herbs, and any other over-the-counter medications you take. 4. Check out your prescriber. Use the ProPublica Prescriber Checkup tool to find and compare prescribers. 5. Help cognitively impaired adults to monitor medications. Avoid potentially harmful or fatal consequences by assisting cognitively impaired seniors with medications. 6. Create and maintain a current medication list. Write a list of all medications with generic and brand names, dosage amount and frequency, and what it treats. 7. If in doubt, get a second opinion. When you don’t feel confident about a medication that has been prescribed, don’t hesitate to check with another professional. 8. Know the side effects of your medications. Use the internet to check on side effects so you can be prepared if one arises. 9. Check if the pharmacy label states what the medication is for. This will help keep track of medications if one for a specific problem needs to be changed or adjusted. 10. Use the same provider and pharmacist whenever possible. This provides another layer of review to avoid drug interactions, over-prescribing or prescribing more than one drug to treat the same problem. 11. Ask your pharmacist questions. Your pharmacist can tell you what to watch for, how to store the drug, and if the dose looks appropriate. 12. Update your provider about any drug reactions. Make sure your provider is aware of any drugs you should avoid. “Prescription Drug Abuse Among Older Adults,” AARP. “The Elderly Are Taking Too Many Pills,” Huffington Post. “Are you (or your parents) taking too many pills?,” The University of Texas Health Science Center at San Antonio. “Are You Taking Too Many Mind Medicines?,” The People's Pharmacy. “Trends in Central Nervous System–Active Polypharmacy Among Older Adults Seen in Outpatient Care in the United States,” JAMA: The Journal of the American Medical Association. “12 Medication Management Tips That May Save Your Life,” A Place For Mom. “The little red pill being pushed on the elderly,” CNN. Start the New Year right with this comprehensive financial help program that covers everything from how to get out of debt, tips for reducing costs, and how to boost your income--even if that’s just social security. 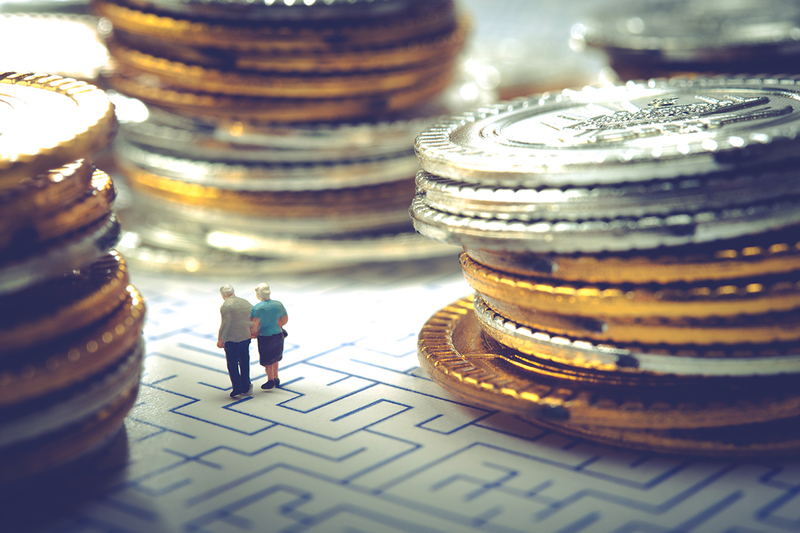 One-third of households headed by an older adult has no money left over at the end of the month or is in debt after meeting essential expenses, according to the Institute on Assets and Social Policy. If you’re one of these seniors, it may seem impossible to ever feel financially secure or to put away a nest egg for emergencies. But there is a simple way to start making steps toward these goals, and you won’t have to do it alone. Savvy Saving Seniors is a program developed by the National Council on Aging. Savvy Saving Seniors covers those on the mid- to lower-end of the economic scale from about the age of 50 on up. Specifically aimed at older adults who may lack economic security, the program provides a three-step guide, or toolkit, to build a solid financial foundation. Toolkit One features lots of free financial resources, Toolkit Two offers tips for avoiding scams that plague seniors, and Toolkit Three covers debit cards. The materials are presented as a training guide for a speaker to deliver to community members, but the guide is equally useful for an individual seeking advice. Seniors are asked to make a list of their expenses, including supplemental health insurance, life insurance, and prescription drug insurance. Check around to see if your insurance is the best deal for your current situation. Your State Health Insurance Assistance Program can help assess your current drug plan. Savings, even on necessary expenses, abound. Medicare enrollees may be entitled to more than $100 back on their Social Security check by using Medicare Savings Programs. Hundreds or even thousands of dollars can come off your property tax bill with help from local abate, work-off, or circuit rider programs. You may qualify for a free cell phone via a state program. If you need extra income, don’t overlook paid volunteer positions. The following organizations offer a stipend for older adults: Senior Corps, Retired Senior Volunteer Program, and Senior Community Service Employment Program. If you’re a homeowner, a reverse mortgage may provide the financial means to keep you in your home. There are many pros and cons to consider before you sign on the dotted line. To gain a better understanding of reverse mortgages for condo owners, check out this Senior Spirit article. Many stores, including thrift stores, offer discounts to seniors on certain days of the week. Try and shop only on those days to save extra money. Federal and nationwide programs offer a range of benefits, depending on your income. Money to pay for food is available through SNAP. Find your local food bank on Feed America. The Volunteer Income Tax Assistance program offers free help with your return. The Low Income Energy Home Assistance Program subsidizes utility bills. The Weatherization Assistance Program can help defray the cost of weatherizing your home. You may qualify for other benefits. Find out by visiting Benefits Checkup. This wonderful resource takes your zip code and displays assistance programs for food, health, housing, medications, utilities, veterans, tax relief and more available locally. It’s easy and quick. If you don’t do anything else, check out this tool! The essentials of making a budget are covered in Toolkit One. While homework is never fun, it’s a lot easier when you start working on it in a group, and you have a workbook to guide you. Budgeting introduces the concepts of fixed expenses, flexible expenses, monthly expenses, periodic expenses, and discretionary expenses. The program stresses the need for an emergency fund, even for older adults who are in debt. The first step is to make a plan for getting out of debt, month by month. Think payday loans are the answer? The program discusses how much cheaper an overdrawn bank account is versus payday loan fees. How about setting up automatic payments for fixed expenses to avoid overdraft charges? Do you know what your financial net worth is? Having a firm grasp of your fiscal situation provides the groundwork for setting goals and achieving them in the future. You’ll be encouraged to make an action plan with prioritized goals and time frames for achieving them. You may use a bank for checking, but did you what else it offers? A bank or credit union may hold the key to establishing credit, even after a bankruptcy. Interest rates vary, depending on the type of account your money is in and the going rate. You can set up an account just to save for emergencies or an annual expense. The Social Security Administration can automatically deposit your monthly check, ensuring timely and dependable arrival of funds. If you still have questions, or want to dig into financial literacy on a piecemeal basis, visit Bank of America’s Better Money Habits website. Developed in partnership with Khan Academy, the site is easy to navigate, and built to offer users as little, or as much, information as they want to consume in a sitting. While topics don’t target the senior community alone, most of them will apply to all ages. Information is presented in quick bites with accompanying graphics that make the site fun and engaging. “Savvy Saving Seniors® Financial Education Tools,” NCOA: National Council on Aging. “Savvy Saving Seniors: Becoming ResourceFULL Facilitator’s Guide,” NCOA: National Council on Aging. “Saving & Budgeting,” Bank of America. Finding the right nursing home can be an emotional decision at a time when careful evaluation is required. Here are the tools to help you make the right choice. Placing a loved one in a nursing home can be a gut-wrenching choice, no matter the cause. With more than 15,600 facilities in the U.S., picking the right nursing home is often a daunting task. But there are several resources which can make the decision easier. Here, we give our top tools, along with a few considerations of our own. 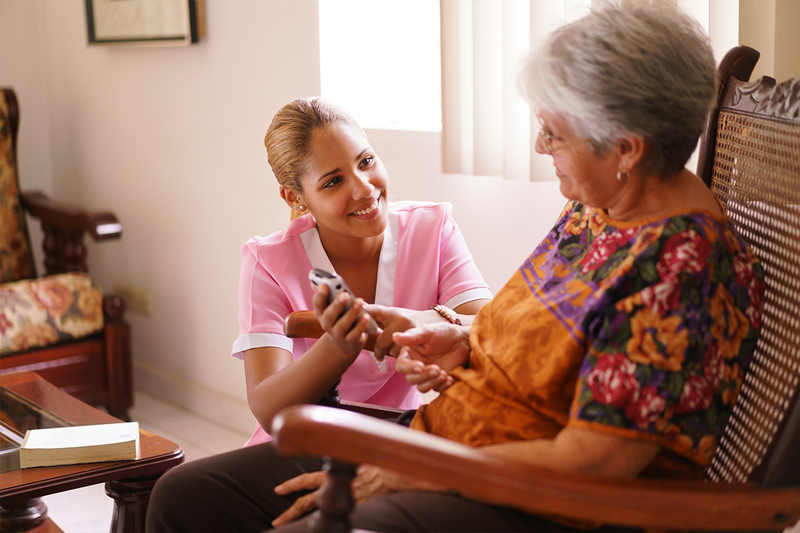 Nursing homes go by many names: skilled care facilities, nursing facilities, and nursing/rehab facilities. Nursing homes generally provide a higher level of care than assisted living facilities, which are also known as assisted living communities, adult family homes, and board and care homes. All Medicare/Medicaid certified nursing homes undergo unannounced on-site inspections by state health professionals such as registered nurses and licensed social workers. They assess compliance with federal standards of care. The information can be used in a couple of ways. First, you can eliminate facilities with more severe violations, staffing shortages, and/or patient care problems. Second, make a copy of the report for facilities that you want to consider. Bring it to your first visit to the nursing home and ask questions about issues that concern you, such as: What changes were made to come into compliance? Why is this a recurring problem? Why did it take so long to correct this problem? It’s easy to obtain inspection results from nursing homes in your area. Below, we’ve highlighted two ways to get information: an inspector tool and a government analysis. Both are simple to use and provide results that are easy to compare. To easily search inspection violations, use the Care Pathways Nursing Home Inspector tool. Start by entering a state, then refine your search by area code, zip code, county, or facility. You’ll get a list of facilities, and you can check out each nursing home’s most recent assessments. The assessments are arranged by date, with the latest one first. Each covers three topics: the facility itself, staffing levels, and the condition of residents. Issues that earned a deficient rating are listed, along with the scope, harm, and severity of the issue, and what date the problem was corrected. Staffing levels and patient condition are compared to averages in that county and state. Comparative information is also available from the Centers for Medicare and Medicaid Services (CMS). Their Five-Star Quality Rating System assigns each nursing home an overall star rating of one (low) to five (high) that denotes overall quality. There is also a separate star rating for the facility based on health inspections, staffing, and quality measures. The health inspection rating takes into account the last three years of onsite inspections, with more weight given to the most recent year. Staffing stars are based on hours of care per resident, with additional consideration for the level of care in that facility based on the severity of need. Residents with higher needs would be expected to get more hours of care. Quality of care measures how well nursing homes are addressing the physical and clinical needs of their residents, and includes the prevalence of antipsychotic medications. Before you visit, take a virtual tour of the nursing home. Is the setting more institutional or homelike? Are rooms private or will your loved one have a roommate? Is it part of a continuing care retirement community? Is there anything on the site that raises a question you want to ask on your visit? Every state is required to have an Ombudsman Program to address complaints and push for improvements in the long-term care system. Click here to find an ombudsman in your state. The Long-Term Care Ombudsman program is overseen by the Administration on Aging, and provides advocates for adult care facility residents to resolve problems and bring about change to improve residents’ quality of life. Ombudsmen visit nursing homes and speak with residents to make sure their rights are being protected. They are trained to resolve issues you may have, including financial concerns. They can discuss general information with you about nursing homes, resident’s rights, and care. Finally, ombudsmen can answer your questions about the number of complaints a specific nursing home has received, what those complaints were about, and whether the issues were resolved quickly. Once you’ve narrowed your list to a few candidates, it’s time to set up an initial tour with each of them. You’ll get a lot of information about each facility. It’s a good idea to use a checklist at each nursing home to make sure you don’t forget to ask a question. Having a completed checklist also helps you make comparisons later on. A checklist will remind you to look at how clean the bathroom is and if grab bars are present. It will remind you to note how friendly staff are both to you, and when they interact with patients. You’ll remember to check if there is a window in every bedroom, and how residents call for help in the event of an emergency. Ideally, you’ll have time for a visit following the first tour. Drop by unannounced so that you can see how everything looks when visitors are not expected. If you can, make the surprise visit in the evening when staffing levels may be lower. Choosing a nursing home is a personal decision, and many considerations go into your final decision. You may decide that the home with the best physical therapy arrangement is better for your loved one than another with gourmet food. A facility with specialty care for dementia may beat out another that has a garden. A nursing home that offers a doctor who makes “house” calls might serve your needs better than another with free transportation. Don’t underestimate the importance of convenience. How many times will you visit your loved one at the facility in town, versus the fancier place 20 minutes away? If you work, it may be preferable to find a nursing home near your office so it’s easy to stop by on your way home. Seeing your loved ones often may be the most important piece to make both of you comfortable with your decision. Finally, if you have a complaint about a nursing home, try working with management to get it resolved. They may be unaware of the problem. If you still feel the matter needs attention, you can contact a long-term care ombudsman (see sidebar) or your State Survey Agency. Click here for a directory. The State Survey Agency not only conducts inspections but they also investigate and validate complaints. “Compendium of Residential Care and Assisted Living Regulations and Policy: 2015 Edition,” Assistant Secretary for Planning and Evaluation, U.S. Department of Health and Human Services. “Long-term Care Ombudsman Program: What You Must Know,” National Center on Elder Abuse. “Medicare and Medicaid Programs; Reform of Requirements for Long Term Care Facilities ,” Centers for Medicare & Medicaid Services (CMS), HHS. “Revised Federal Nursing Home Regulations,” National Consumer Voice for Quality Long-Term Care. “Five-Star Quality Rating System,” U.S. Centers for Medicare & Medicaid Services. “When It's Time to Leave Home,” National Institutes of Health. “Your Guide to Choosing a Nursing Home or Other Long‑Term Services & Supports,” Centers for Medicare & Medicaid Services. “Long-Term Care Providers and Services Users in the United States: Data From the National Study of Long-Term Care Providers, 2013–2014,” National Center for Health Statistics. “Nursing Home Care,” Centers for Disease Control, National Center for Health Statistics. Can Coffee Drinking Help You Live Longer? Recent evidence shows that drinking coffee can increase your lifespan significantly. 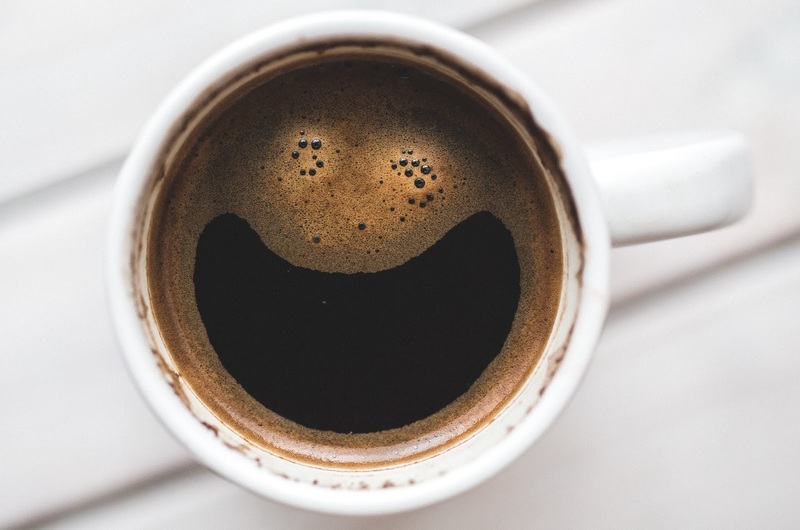 That morning cup of joe seems to be a healthy habit after all, according to a pair of recent studies that showed drinking coffee can reduce your risk of early death. That reduction increased once people reached the age of 45, indicating that it may be more beneficial to drink coffee as we age. The two studies involved more than a half million people with diverse backgrounds, dietary habits and health status. They drank caffeinated and decaffeinated brew, in different styles and concentrations. But the research produced the same results: coffee drinkers appear to live longer. "We looked at multiple countries across Europe, where the way the population drinks coffee and prepares coffee is quite different," said Marc Gunter, reader in cancer epidemiology and prevention at Imperial College's School of Public Health in the UK, who co-authored one study. "The fact that we saw the same relationships in different countries is kind of the implication that it’s something about coffee rather than its something about the way that coffee is prepared or the way it's drunk," he said. People who drank two to four cups of coffee daily had an 18 percent lower risk of death than those who abstained. Coffee has also been shown to cut down on the risk of type 2 diabetes, colorectal cancer, liver disease, Alzheimer’s and skin cancer. As usual, caveats come with the good news. It’s not easy to rule out the possibility that coffee drinkers are just a healthier bunch to start with, Gunter said. People who avoid drinking coffee might do so because they have poor health. It could be that their higher mortality rate is just a sign that they’re less healthy to begin with. “Coffee Leads To Longer Life Studies Reaffirm,” CNN. Does the Fountain of Youth Run Red? Studies on mice show that bathing older rodents in the blood of younger animals yielded astonishing results on cognitive tests. Could humans with Alzheimer’s disease benefit from the same procedure? The first clinical test to see if Alzheimer’s disease in older adults can be reversed by infusions of blood plasma donated by healthy young people failed to yield explosive results. However, the November 2017 release of data involved only a small group of 18 subjects and is the first of many such trials expected to take place as methods are refined. According to CEO Karoly Nikolich of Alkahest, a startup company in San Carlos, California that sponsored the trial, the company is “encouraged” to perform more such studies. More than 264 gallons of blood pass through the adult human brain every day. Research shows that brain health is impacted by changes in molecules that circulate in plasma, the liquid part of blood, as organisms age. Experiments from 150 years ago demonstrated that when an old mouse and a young mouse were stitched together to share circulatory systems, after a few weeks the older mouse could perform better on cognitive skills such as mazes. More recently, tissue samples from such older rodents revealed rejuvenated muscle, liver, and other tissues. A few years ago, a team at Stanford led by neuroscientist Tony Wyss-Coray discovered that injections of the plasma portion of blood could achieve similar results in rodents. Plasma is the single largest component of human blood, comprising about 55 percent, and contains water, salts, enzymes, antibodies and other proteins. The straw-colored liquid is easily separated out of whole blood by a centrifuge process. If you have several thousand dollars burning a hole in your pocket, jet out to Ambrosia LLC in San Francisco or Tampa for a two-day young blood plasma treatment. Founder and graduate of Stanford University medical school Jesse Karmazin says the treatments contribute to heart and brain health. The typical Ambrosia patient is near retirement age. Some people come to maintain their health; other patients have an illness such as Alzheimer’s or diabetes. Several people have returned for multiple treatments. Adults age 35 and older get injections of blood plasma from youngsters aged 16 to 25 for two days, and it will only set you back $8,000, hotel and air not included. The treatment has qualified as a clinical trial, although some are skeptical. Stanford neuroscientist (and co-founder of Alkahest) Tony Wyss-Coray said the trial is “abusing people’s trust” and that there is “no clinical evidence” that supports claims of anti-aging benefits. Ambrosia’s informed consent form won’t guarantee results or improvement in regards to age-related diseases. Health risks are basically dependent on the safety of the blood product, which is collected and screened by blood banks in the United States. Karmazin himself is 32 and thus ineligible for treatment. Wyss-Coray was encouraged enough by his research in 2014 to co-found Alkahest, a biotech company with a mission “to enrich the health and vitality of humankind through transformative therapies that counterbalance the aging process.” The startup’s first effort was to see if young plasma could help people with Alzheimer’s. Led by Sharon Sha, MD, a clinical associate professor of neurology and neurological sciences at Stanford, the trial established the safety, tolerability, and feasibility of plasma treatment in humans. Sha wasn’t surprised by those findings, since blood products from the United States are among the safest in the world. However, she was intrigued by hints of subjects’ improvement on tests of functional ability such as performing tasks of independent daily living, like remembering to take medications, paying bills, and preparing meals. Nine patients with mild or moderate Alzheimer’s got four weekly injections of either a saline placebo or plasma from 18-to-30-year-old male donors, followed by a six-week break. Then, injections were switched so the patients who had gotten saline received plasma, and those who previously had plasma injections were switched to saline. Nine other patients received young plasma only. Patients who completed the young plasma treatment did no better on objective cognitive tests given by medical staff. But a caregiver survey assessing how much help patients needed with activities of daily living revealed improvement: 4.5 points on a 30-point scale. Another survey given to caretakers also showed modest improvement in patients’ ability to perform tasks such as getting dressed and shopping. The study results are “interesting” but raise many questions, such as what cellular process in the brain is targeted, according to Howard Feldman of the University of California, San Diego. Neuroscientist Zaven Khachaturian, retired from the National Institute on Aging in Bethesda, Maryland and current scientific advisor to the Alzheimer’s Association, concurs. 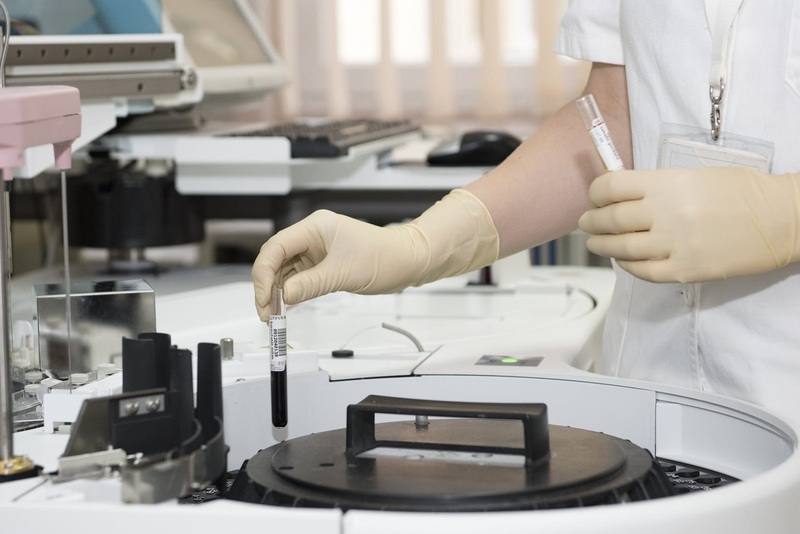 Because the treatment appears safe, Alkahest now wants to implement a trial using only the part of plasma that contains growth factors, eliminating coagulation factors and other components that may inhibit successful treatment. Animal studies showed this plasma fraction was more successful at improving cognition than whole plasma in mice with a condition similar to Alzheimer’s. The company plans to test a range of doses and include patients with more advanced disease symptoms. “The PLasma for Alzheimer SymptoM Amelioration (PLASMA) Study (PLASMA),” U.S. National Library of Medicine. “Clinical trial finds blood-plasma infusions for Alzheimer’s safe, promising,” Stanford Medicine. “Young Blood May Hold Key to Reversing Aging,” New York Times. “Can we reverse the ageing process by putting young blood into older people?,” The Guardian. “What are the ethics of using young blood to reverse the effects of aging?,” TED Conferences, LLC. “Blood from young people does little to reverse Alzheimer’s in first test,” American Association for the Advancement of Science. “Ambrosia: This Startup Will Give You Blood Transfusions from Young People to Reverse the Aging Process. It Only Costs $8,000,” Newsweek. “The Young Blood Movement Is Basically Biotech’s Goop,” Slate. “Neuroscience: The power of plasma,” Nature ISSN 1476-4687 (online). 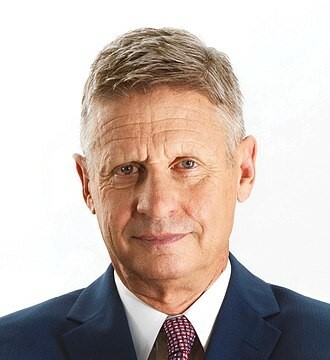 Gary Johnson ran for president of the United States on the Libertarian ticket in 2012 and again in 2016. He was the Republican Governor of New Mexico from 1995 to 2003, running on a low-tax, anti-crime platform. True to his word, he cut annual 10% growth in the state’s budget partly by using the gubernatorial veto 200 times in his first six months in office. Johnson founded one of New Mexico’s largest construction companies. It began while he was in college, and helped pay for classes by going door-to-door as a handyman. Big J Enterprises started in 1976 with Johnson as the only employee. When growth of the company began to explode, Johnson took a time management course in night school to cope. Before he sold the company in 1999, Big J had become a multimillion-dollar company with more than 1,000 employees. After the 2016 presidential race, Johnson declared he would not run for public office again. Pat Benatar dominated the airwaves in the 1980s with hits like “We Belong”, “Love Is a Battlefield”, and “Hit Me with Your Best Shot”. She’s a four-time Grammy Award winner with 15 Billboard Top 40 singles and five platinum albums. Benatar sang her first solo at age eight in an elementary school performance. She grew up in the Long Island village of Lindenhurst. Benatar married her high school sweetheart, Dennis Benatar, at age 19. Born Patricia Mae Andrzejewski, it’s no surprise the singer kept her first husband’s last name after their divorce years later. The singer had plans to attend the Juilliard School, but opted for the state university instead. Benatar worked as a bank teller while her first husband was stationed in Fort Lee, Virginia with the Army. But she quit her job in 1971 after getting inspiration from a Liza Minnelli concert, starting as a singing waitress, then got a gig singing in the lounge band Coxon’s Army. Benatar slowly rose up the ladder, performing at amateur nights and singing at Catch a Rising Star when she moved back to New York after her husband was discharged. She was becoming famous when she divorced in 1978 after signing with Chrysalis Records. Benatar is currently remarried with two children. 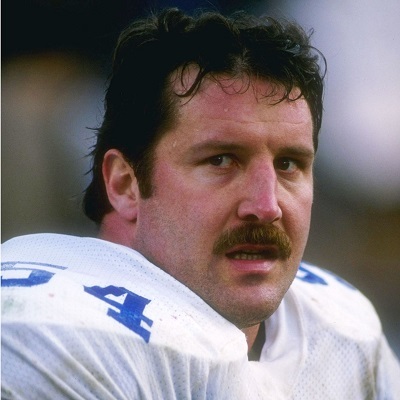 Randy White played defensive tackle for the Dallas Cowboys from 1975 to 1988, earning a spot in the Pro Football Hall of Fame. His career began at Thomas McKean High School. Playing defensive end and linebacker, White is still considered the “Best All-Time Player” in the history of Delaware high school football. White went to the University of Maryland and played fullback his freshman year, where he did nothing to stand out on a team that finished with only two wins. But the next year, new head coach Jerry Claiborne moved him to defensive end. It was a brilliant fit, and by his senior year White won the Outland Trophy, Lombardi Award, and Atlantic Coast Conference Player of the Year, as well as Most Valuable Player in the team’s loss to Tennessee at the Liberty Bowl. In 1994, White was elected to the College Football Hall of Fame. White was the second draft in the first round in 1975, spending his entire career with the Dallas Cowboys. He played middle linebacker, and then found his fit as a defensive tackle. The year he turned 25, he was named to his first All-Pro team, his first Pro Bowl and was named co-MVP of Super Bowl XII with teammate Harvey Martin, one of only ten defensive players ever to be awarded that honor. White earned the nickname “The Manster”(half man, half monster). 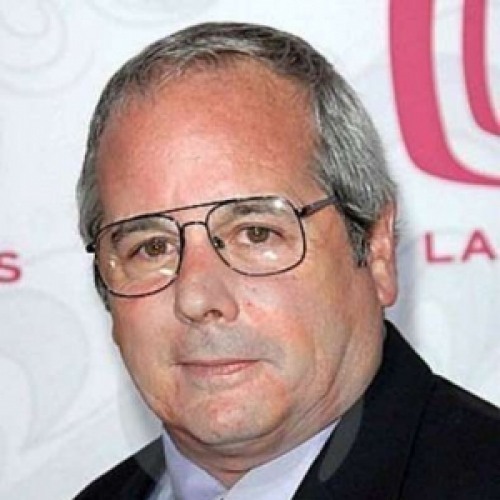 January 19 – Desi Arnaz Jr. The birth of Desi Arnaz Jr. was the most publicized on T.V. in 1953. He’s the son of Desi Arnaz and Lucille Ball, whose show I Love Lucy featured the pregnancy as part of the storyline. Arnaz Jr. (as “Little Ricky”) and his sister Lucie appeared in the show as the character’s children from 1968 to 1974. Arnaz Jr. was a drummer in a band at age 12 with Dean Martin’s son and Billy Hinsche. They had two hits: “I’m a Fool” and “Not the Lovin’ Kind”. He continued acting and had many roles in movies and television into the 1980s. In 1992, he had a starring role playing his father in The Mambo Kings, based on a Pulitzer Prize-winning novel. From 1998 to 2010, Arnaz Jr. toured with a new iteration of his old band, performing original work and new material. Now a billionaire, Newmark is still active in Craigslist customer service, outing spammers and scammers. He’s also a devoted philanthropist, operating Craigconnects to publish charitable organizations. Newmark has a special interest in services for military veterans and teachers. Arnaz Jr. has a daughter from an undisclosed relationship. He was married to Linda Purl, an actress, for a year in the early 80s. In 1987 he married Amy Laura Bargiel. They lived in Boulder City, Nevada, where they owned the Boulder Theatre. Bargiel died from cancer in 2015 at the age of 63. Steinbach hit the professional tour in 1975 after attending California State University at Fullerton. Her best finish was a T-5 in the Florida Lady Citrus. She’s had a lasting impact as an instructor, teaching more than 5,000 individual lessons and earning a “Top 50” from Golf for Women magazine. She’s a founder and CEO of Venus Golf clinic for women, and authored Venus on the Fairway, a book that highlights the different learning styles of men and women on the fairway. Her broadcasting experience extends from local radio shows in California near La Quinta to color commentary during national coverage for sports shows on NBC and ESPN.